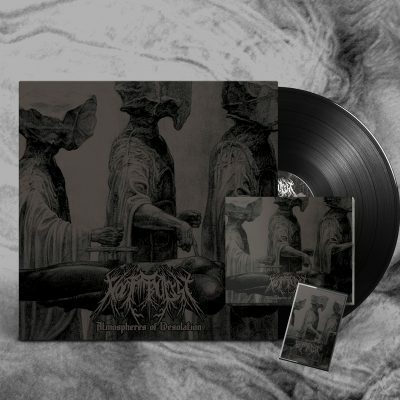 BLOOD HARVEST RECORDS and HELTER SKELTER PRODUCTIONS (distributed & marketed by REGAIN RECORDS) are proud to present NOCTAMBULIST's striking debut album, Atmospheres of Desolation, on CD, vinyl LP, and cassette tape formats. Hailing from Denver, Colorado, NOCTAMBULIST formed in 2016 and so far have only teased with a single track on their own Bandcamp page. However, sinister things await and a full-length has been lurking for some time now… Indeed accurately titled, Atmospheres of Desolation is a devouring vortex of dissonant death metal with an almost levitational aspect. NOCTAMBULIST can churn & blast with the best of 'em, but it's their acute attention to atmospheric detail and eerily melodic coloring which set them apart from their peers. It's all too easy to get lost in the record's perpetual slipstream of angular aggression and heaving heaviness, at times stultifying in its dizzying displays of necromantic death; underneath those layers – or, one could say, also atop them – wriggle tendrils of tension and unease that almost effortlessly drag the listener along with e'm, making the entirety of Atmospheres of Desolation the epitome of an album experience. 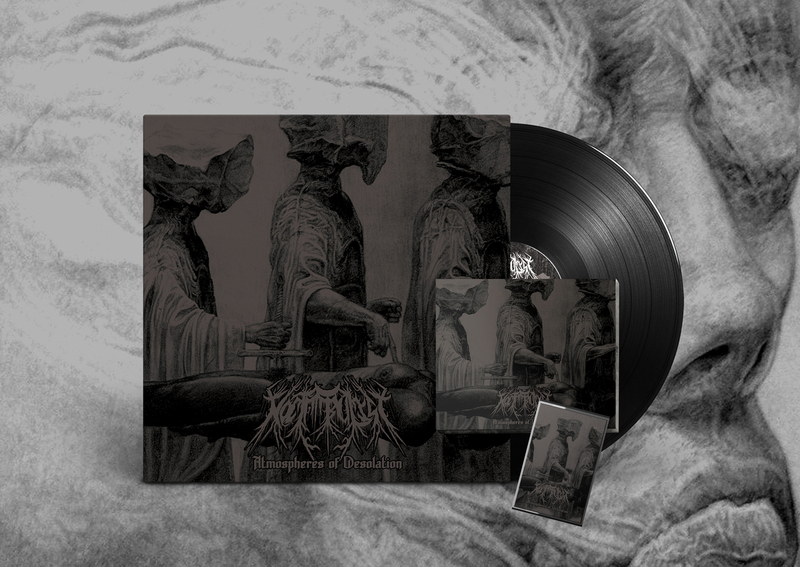 Recommended for maniacs of Blood Incantation, Altarage, and especially godfathers Gorguts, dissonant death metal has spawned new mavericks in NOCTAMBULIST. 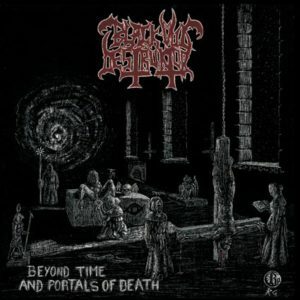 Behold their Atmospheres of Desolation!